These agencies picked a niche market or service offering in order to differentiate themselves from the 100s of thousands of other agencies out there. 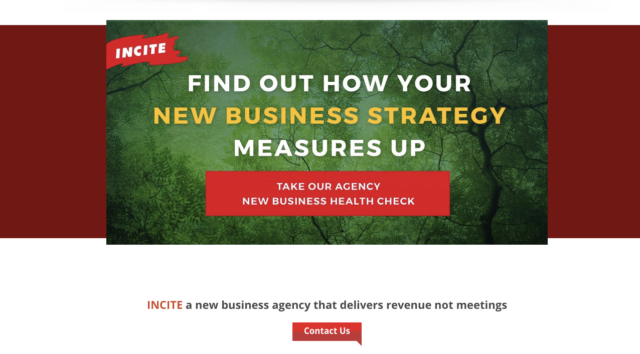 You probably have heard it over and over again from multiple agency consultants by now: selecting a niche is the most reliable way to improve client results and agency profits. You probably even give similar advice to your clients all the time. But, have you applied it to your own business? The logic is pretty simple: buyers have more options than ever before. Therefore, if your firm isn’t differentiated, clients will ALWAYS be able to find another marketing agency that is willing to offer the same services for a cheaper price. With the internet, they can instantly find hundreds of firms to replace you. 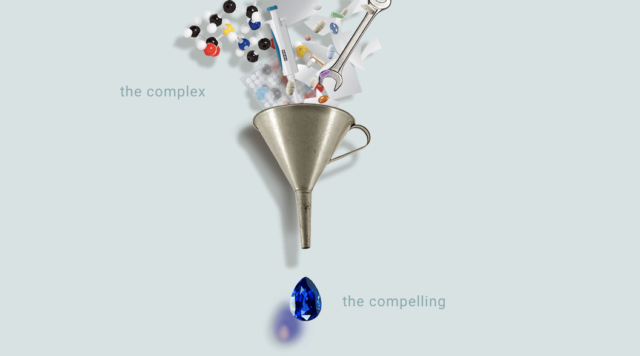 So, to avoid commoditization, some agencies have created their own unique value proposition. Why does it work? When agencies do this, they can focus all their time and energy developing unique capabilities, process and knowledge that beats back the competition. “There are a few niche agencies I’ve been advising for about 10 years now. Every time, I talk to them, I ask them their current margins. It’s always 10 percentage points higher than the generalist agencies I know.” says Peter Caputa, Databox CEO and founder of HubSpot’s Agency Partner Program. “You need a market that is large enough to provide sufficient opportunity, but small enough so that you can own a meaningful advantage—some signal in the morass of noise,” suggests David C Baker, Principal of ReCourses and author, speaker and advisor to thousands of marketing agencies. To help agencies make the leap to a niche focus, we set out to find them some inspiration. We polled multiple communities of marketing agencies to discover the advantages that come from focusing on a specific type of clientele and wrote up their stories below. In more cases than not, agency leaders started with a specific category of clients or service offering in mind because of expertise they had, while others chose a demographic or firmographic profile after examining years of client data. In either case, browse through the examples below to help you think through your own strategy. Started here or specialized later? We started our agency focused on this niche. Advantages We Have Gained: As former teachers, we know the education market exceptionally well. If an educational supplier is looking to reach teachers and school leaders, then we can help them to craft content that will genuinely resonate with that audience. Making sure the language suits the audience is vital in the education sector – tiny things in copy can deter teachers from a product, service or company. Every bit of our copy is approved by a former teacher before it goes out. To our knowledge, no other agency provides that assurance. Started here or specialized later? We chose this niche after we realized we could be more successful if we focused. 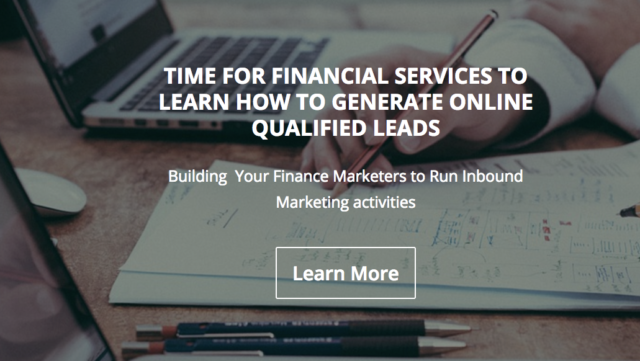 Advantages We Have Gained: Implementing the foundation of Inbound marketing and training finance marketers to leverage it is what differentiates us from other agencies. I understand the struggles of financial service company because I lived through it myself. Before I founded Bethink Marketing, I was the Head of Marketing for a financial service company targeting high net-worth investors that needed to invest a minimum of $500K. When I first came in, the company was running very traditional sales and marketing processes. The only lead generation activity that we were doing was direct mailing. It took 6 weeks for getting a response and only about 1 out of 1000 responded. I remember when I first started, Financial Advisors came up to me asking if we had any leads for them because they did not have any fresh ones in the pipeline. When I implemented inbound marketing campaigns and turbocharged them with paid social media, the results were outstanding. Sometimes we were generating so many leads, the Advisors asked us to pause our campaigns. Bethink Marketing is on a mission to transform the way financial service firms are generating leads. The traditional ways of acquiring investors in the financial sector are diminishing. Qualified investors are in different positions today. They have the power to make most of the investment decisions and selecting the right firm on their own by doing research online. Those who publish content online with the right strategy will have the opportunity to reach a larger pool of prospects and to win them over. Advantages We Have Gained: We use our single market expertise to help our clients understand what specific aspect of their case studies and brand offer will resonate most powerfully with their key target buyers, in the context of current trend and market conditions. We also know how to get that message in front of that audience most effectively. The insight allows us to generate powerful content and sales propositions to drive multi-channel integrated inbound and outbound marketing campaigns. For example, we helped on client implement a digital offer into their agency that allowed them to open up opportunities with world leading brands. Advantages We Have Gained: When I started the firm, my idea was to help companies launch custom-designed websites as efficiently as possible. It took us awhile to build our processes and we’re still improving them. But, our current efficiency allows us to begin helping HubSpot customers and partners for as little as $1000. 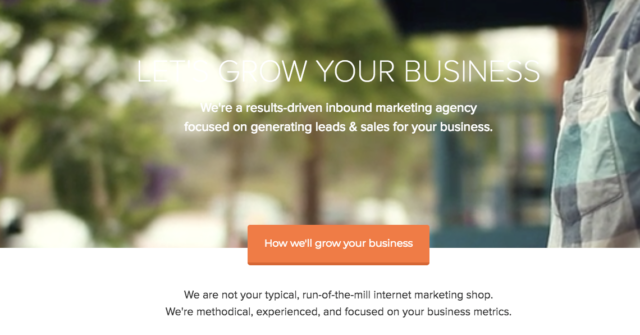 Along the way, we tried offering inbound and content marketing services, but found that it diluted our focus. 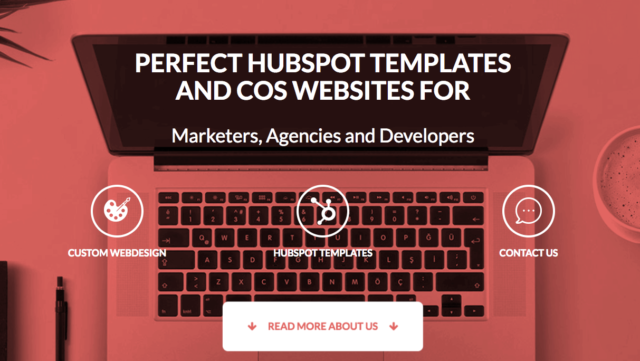 When we decided to once again focus 100% on building templates and websites for companies on the HubSpot CMS, agencies started to come to us asking us if we could help them sell and build websites on the HubSpot CMS too. (They no longer saw us as the competition.) Now, our agency partners can offer our service as if it was their own and after providing assistance to 1000+ HubSpot customers and building 300+ full websites on the platform, I believe we can do it more efficiently and at higher quality than anyone else. Advantages We Have Gained: We focus on the technical aspects of marketing, building custom solutions which are friendly for marketers. Furthermore, we cooperate with other HubSpot Partner-Tiered agencies which offer complementary marketing services such as strategy. Advantages We Have Gained: We often like to say, born in the safety industry and built to help you grow. We mean that pretty literally. Our founder and many of our employees are intimately connected with the industrial supply chain. We understand the unique challenges, regulations, and marketing needs of the industrial supply chain. Advantages We Have Gained: We have a deep understanding of Quality and the ISO certification process. Our founder ran a manufacturing business under ISO 9001 and this brings a perspective from both sides of the desk. How weird is it that a guy with a BS in Chemical Physics started a marketing agency! This allows us to understand what our clients do and to write in a voice that resonates with their ideal client. Advantages We Have Gained: Interrupt has deep expertise in the industry, its value chain and how to drive the appropriate actions for each of the audiences. We also understand well how these companies make money. This enables us to strongly and uniquely position their brand and help them outperform their category and industry at large. We start interactions with, and build strong relationships with the C Suite, and we stand with them to help them reshape their brand, channel strategies, and company performance. This makes it very hard to trade us out for an agency focused only on cool design. It’s pretty simple… when you help a company optimize profit dollars, they tend to stay with you. Advantages We Have Gained: We help them DIFFERENTIATE. In our sector, regulatory agencies often control/mandate both work process and work product. When these are mandated by regulations to be identical (or close to it), differentiation becomes really hard. But without differentiation, any offering will be seen as a commodity (with NO pricing power). So we help our clients figure out what makes them both different and better. Then we help them CLARIFY. That is, we help them clarify the public-facing language that articulates their uniqueness. Then we help them ENGAGE. We help them reach out to audiences, both internal and external. And, finally…. We help them ALIGN. We drive the message deep within their employee base, aligning their behavior. We have metrics that demonstrate that our efforts align employees, improve their team’s performance, and improve individual employees’ engagement with their job. When all employees have access to a platform that allows them to be a spokesperson for their company (like Facebook or Twitter) marketing must start with internal teams. When employees are aligned, it’s easier to convey your message to the outside world. Advantages We Have Gained: Our clients typically choose us because of our financial subject matter expertise – we know their products, services and audience much better than agencies that generalize. We’ve spent our careers creating engaging content for banks, asset managers, online lenders, wealth managers and financial publications, so we can write knowledgeably about pretty much any subject in the industry. We also know how to navigate the compliance constraints that financial companies face with their online marketing efforts. And we know how to connect with their target market, whether it’s distilling a complex topic for retail investors or turning data into compelling charts and graphs for a more sophisticated audience. Advantages We Have Gained: We help them build a broad base of monthly donors to raise more money. Advantages We Have Gained: To effectively serve the life science sector, our team needs to understand the typical business models, buyer personas and products/services offered by companies in the sector. We also need to be able to create compelling content for these buyer personas, much of which is highly technical in nature (in fact, you could argue that creating high-quality content that captures interest, builds trust and drives action means you have to be fluent in two languages – science and marketing). To help us do this, we have 8 PhD-level scientists on the team and our marketing strategists have worked with over 100 different companies from across the sector. In other words, true niche expertise requires years of experience and knowledge to deliver results. When we dovetail our marketing, sector-specific, scientific, technology and content-development expertise with the knowledge present within the client’s own team, we get great results. Advantages We Have Gained: We have tech experts who understand Technology in and out, and therefore are able to thoroughly understand our customers’ business needs and translate it to effective marketing activties. That is why we work with many startups from the very early stages, helping them define their message, understand their business personas and create an optimized journey for them. Advantages We Have Gained: We can help healthcare launch new service lines by integrating video-based social ads with organic web traffic. Our dedicated team is at the forefront of social video production and campaigning. Among other amazing stats, by using video in the place of images, engagement can be increased by up to 1200%! We believe this is the future of lead generation. Advantages We Have Gained: We understand their business development cycles and support it with marketing activities. One of our clients generated +85 leads in a month. This is a lot for professional services. We generally see that an average of 20. 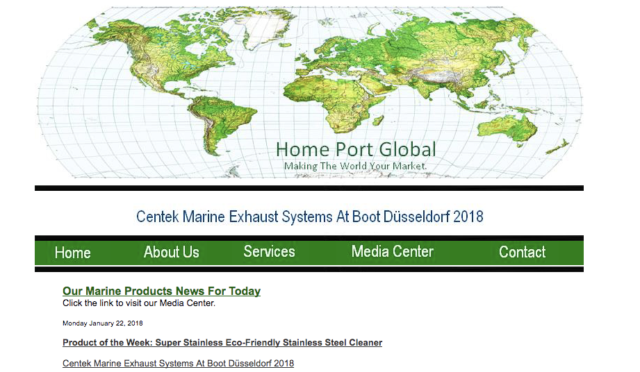 Advantages We Have Gained: Home Port Global is the only consultancy in the marine industry focused entirely on distribution network development, marketing and PR of marine products and accessories. The Home Port team collectively has more than 60 years experience in marine product distribution, retail merchandising, marketing and PR. Advantages We Have Gained: We make outstanding interactive inbound offers that generate 5%+ visitors-to-leads ratio AND provides in-depth qualification and persona data. Advantages We Have Gained: The competitive landscape is becoming more and more intense, which requires us (agencies) to step up our game. Focusing on verticals has not only aligned our sales and marketing efforts, it increases our chance of achieving client success much sooner in the relationship. By knowing their industry, challenges, value drivers, and what it takes to succeed online, we are years ahead of other generalists from day 1 of the relationship. Advantages We Have Gained: We offer two ground-breaking programs that help credit unions connect with young adults—It’s a Money Thing and Young & Free. It’s a Money Thing provides credit unions with a library of financial literacy content that enables them to supercharge their education efforts. Young & Free is a spokesperson-driven program that gives a young person the tools to create amazing content and build awareness of a region’s credit union, its products and its services. Between these two programs, we’ve helped more than 100 credit unions in the U.S. and Canada add more than a quarter million new members. Advantages We Have Gained: Because we know the industry, we can get home builders set up much faster and with far less revisions. This includes eBooks (conversion funnels), email templates for marketing and for sales because we know situations they encounter, their sales process, and their language. We also have been able to diagnose other areas we can help (outside sales/marketing), including homeowner registration systems and warranty systems through the use of workflow automation to help onboard new customers and save time for our home builder clients. We also get the advantage of group learning. Marketing is always changing, so we run a lot of experiments. If something works for one client, we can roll it out for others. Advantages We Have Gained: We can start and maintain a clinic’s marketing with little input from the clinic owner as we know the devices/ machines and treatments our clients use and market. We don’t need to be taught about a treatment or procedure. Advantages We Have Gained: Big Buzz is adept at delivering more than 50 different marketing tactics–from website development to direct mail to SEO and beyond. 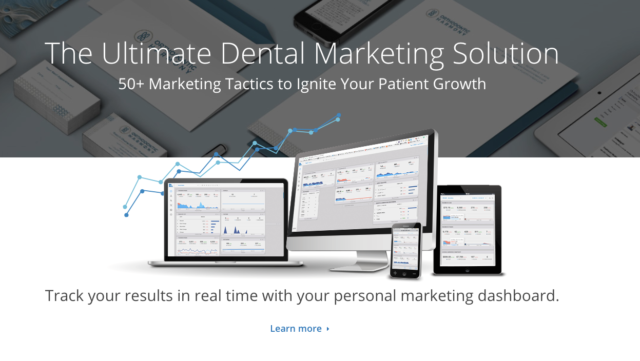 More importantly, Big Buzz identifies and delivers only the handful of marketing tactics that are right for the practice right now. Advantages We Have Gained: We have designed over 10,000 books, worked on over 300 publishing imprints, and we design approximately 600/books a year. We work in most every publishing niche for most all genres. This deep expertise has made us a very valuable vendor for the largest publishers in the world all the way down to small independents. We are highly specialized in book packaging but have also vertically moved into publishing to work on collateral and video production for our clients. Advantages We Have Gained: Designing thought leadership ecosystems for research-driven organizations — systems, strategies and cultures that allow these organizations to consistently produce high-value analysis content for their key audiences. 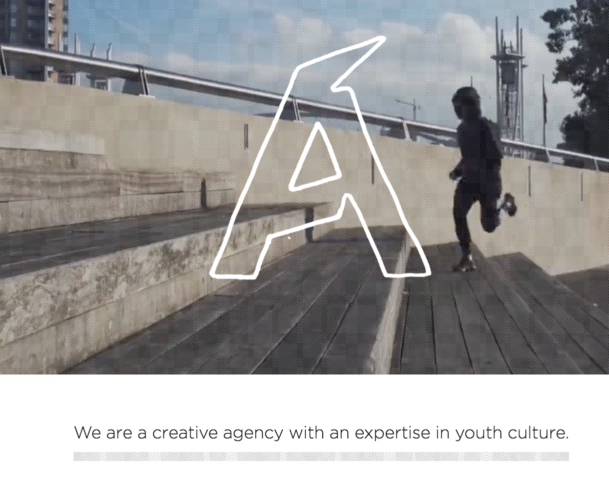 Niche: We are a creative agency with an expertise in youth culture. Advantages We Have Gained: Archrival knows how to win the hearts and minds of young adults, from teens to twenty-somethings. Our insights uncover what drives the preferences, habits and opinions of culture. Advantages We Have Gained: We help them get their customers to buy in, rather than just buy. Focusing mainly on internal engagement before any external marketing or communications. 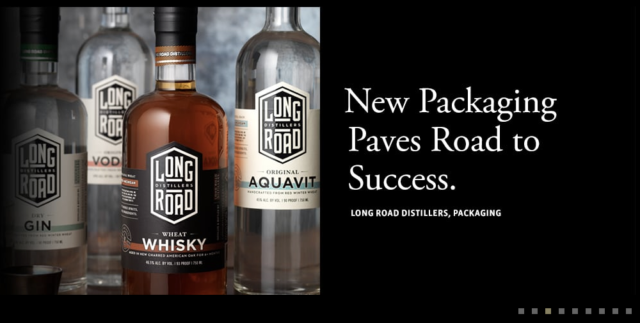 Advantages We Have Gained: We can create new alcohol brands and transition existing brands to better connect with consumers through evocative storytelling and stunning design that ultimately results in dramatic increases in sales for our customers. Because we only focus on one market segment, alcoholic beverages, we can focus our entire energy on being experts in the category. We can completely immerse ourselves in the category periodicals, news, emerging trends and legalities. We are able to spend cognitive capital on being thought leaders and advocates within the industry that we would not have time to do if we worked in multiple sectors. This, in turn, has allowed us the ability to create a process for repeatable success and an established methodology. Niche: We specialize in employee benefits communication for large talent-focused employers. Advantages We Have Gained: We help our clients inspire employees to improve their health, their finances and their futures. We do that by creating smart education resources and marketing tools that get employees to take full advantage of the benefits available to them. We have created exceptional results for organizations like Intuit, Adobe, the Univeristy of California, and many others. Niche: Family-focused businesses – We help small to medium sized businesses that are focusing on marketing or selling to dads and moms and families. Advantages We Have Gained: At StringCan Interactive, we take great pride in assisting family-centered businesses become as successful as they possibly can. If a company serves families with its products or services, we feel called to help them improve and grow. We have become really good at understanding how moms and dads think and how to market to them. We know how families tend to make purchasing decisions, where they spend their time online and what matters most to them. Today we are specializing in Activities, Wellness, Education & Tourism. Some of our biggest industries are swim schools, gymnastics gyms and health clubs. When our clients deliver value to families, we get excited. And when we help our clients extend their reach and deliver value on an even greater scale, we feel a really great sense of fulfillment. This is why we proudly say… family is the heart of our business. Started here or specialized later?We started our agency focused on this niche. Advantages We Have Gained: We have all of our market research in the fitness space. With every website we build, we eliminate hours/days of time of research that we do not have to do. 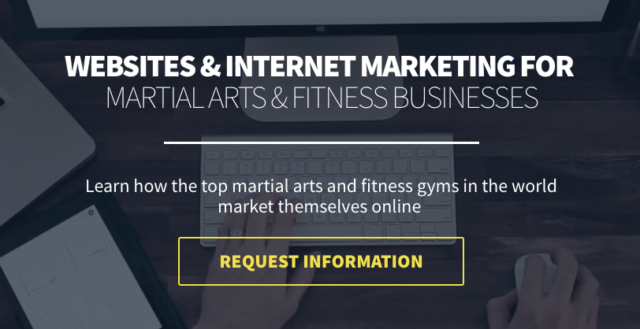 We know exactly how a website should be set up for fitness to get conversions and leads. Our system is a custom platform. We do not use WordPress or a platform we do not have control over. This helps our niche because we can make one change on a platform that updates all client websites in one click v. taking months to update individual websites. Example: Google recently made a change that it will prefer or rank higher mobile-friendly websites. Instead of making changes for 6 months, we made one change in a day to update everyone to mobile-friendliness. This saves time and resources, which we can pass the savings to our clients. Keeping our product cost-effective, yet extremely up to date. 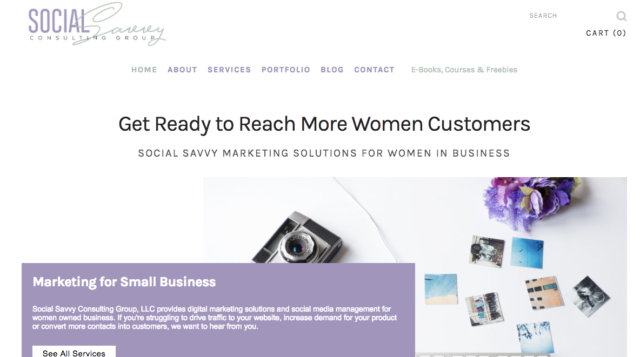 Advantages We Have Gained: We help women in business find the sweet spot between content and marketing. 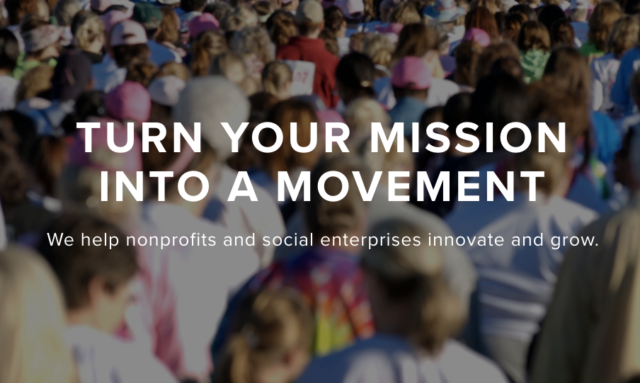 While many other agencies focus solely on strategy and deliverables, SSCG takes a coaching approach to our work with women-owned businesses. Project: Increase brand awareness and social media following for 212west.com, as well as product demand. Results: 212 west was in a unique position at the start of our work together. Any search engine query for “212 west” returned results for street addresses all over the U.S., rather than the custom jewelry brand. We worked with 212 west’s web designer to create an ideal conversion path from social media and email traffic, as well as craft SEO optimized web content and product descriptions. In less than one year, 212 west became the top search result for a query they originally had zero ranking for. We also helped 212 west develop key relationships with mid-west lifestyle and beauty bloggers that are still in place today. Overall, we increased social media following by 14 – 18% each month and helped increase total monthly sales by 47%. What’s Stopping You From Focusing on a Niche? After reading these stories, I hope you’re convinced that it’s time to go niche. Personally, I don’t have all the answers. But, after reading up on the topic and interviewing these experts, it’s clear that most agencies go through a process to get there. Even though many of these agencies started with a niche, they didn’t wake up one day and make the decision. Most had prior experience in their industry or focus area. The agencies who switched to a niche did so after realizing they could be more successful if they did. There might have been a eureka moment, but it didn’t happen overnight. How smart are you getting? Are you developing pattern-based insights that are valuable for your next niche client? Is it yielding a price premium? Are you able to charge more because of the unique insights you can bring to clients? Do you direct the client relationship? Are you being asked to do what the client thinks should be done when they want it done for the price they demand, or are you controlling your engagements in these same ways? Is a positioning defendable? Does your positioning stay relevant over time? PS. Should you be on this list? Submit yourself to be considered for inclusion here.